International Women’s Day is a time to reflect on progress made, to celebrate acts of courage and determination by ordinary women who have played an extraordinary role in the history of their countries and communities – and to call for change. This year’s campaign theme is #PressforProgress to continue the fight for gender parity. Clancy, BSc, PhD, began work on Parkinson’s app Beats Medical in 2012. The app incorporates metronome therapy via auditory cueing through a smartphone and has been available since 2015. The team has since launched additional speech and hand dexterity exercises. 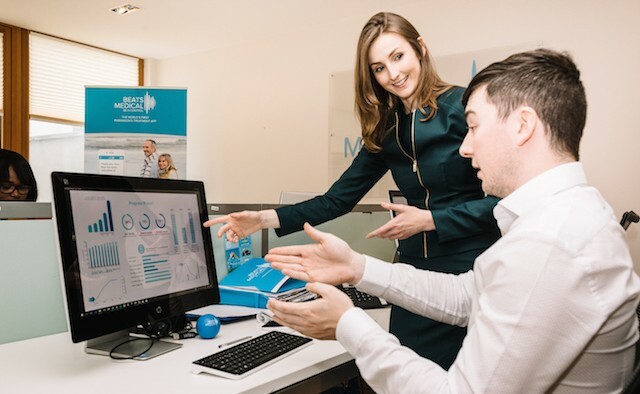 Clancy says: “Metronome therapy has been clinically proven by decades of research to help manage the symptoms of Parkinson’s such as shortened steps, reduced walking speed and freezing. In Parkinson’s, the signal in the brain that tells you to move can become impaired. Learn more about Beats Medical. Chaudhry is director of the tech company, ‘Walk to Beat’, and inventor of an award-winning vibrating Parkinson’s walking stick prototype. The device detects a pause in motion and sends rhythmic vibrations to the handle, helping the user regain their natural walking motion. The product design technology graduate, was inspired to invent a mobility aid after witnessing her late grandfather struggle with freezing of gait and subsequent falls, caused by his Parkinson’s. 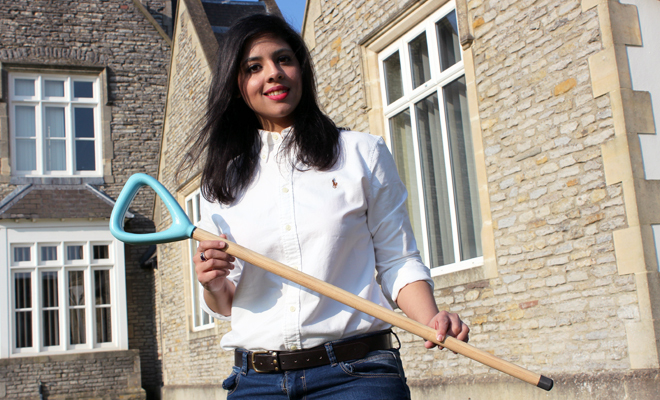 Chaudhry and her team are now in process of finalising the manufacturer and are carrying out all the safety tests – they are very close to getting a basic version of the walking stick to market. Read the full article on the walking stick. 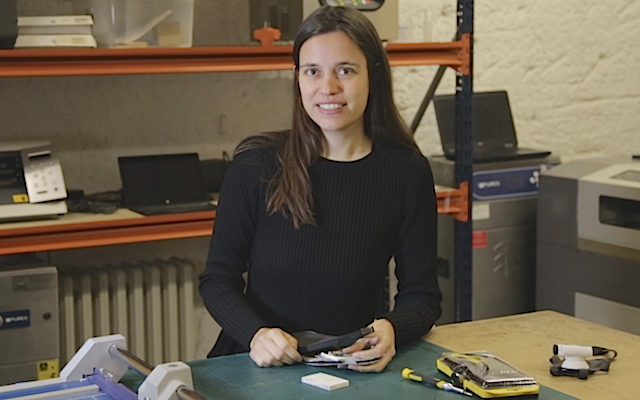 Inspired by her father’s battle with Parkinson’s, design engineer Lise Pape developed ‘Path Finder’ – a shoe that projects laser lines to trigger walking, which prevents freezing of gait. The laser cues are activated by the pressure when the wearer touches down on the ground. Studies have shown that the futuristic technology can help reduce injuries, ultimately cutting healthcare costs, and improving quality of life for people with Parkinson’s. Last month the Path Finder team launched stockist and partnerships agreements with Parkinson’s UK and France Parkinson. Watch the promotional video below. Read the full article on Path Finder. Product designer Mileha Soneji noticed that her uncle – who lives with Parkinson’s – could walk smoothly up and down stairs, but experienced freezing of gait on flat ground. She found a way to combat this by creating a flat staircase illusion, which is placed on the floor for users to walk over. Results have shown that people with the condition are able to walk more smoothly on the areas where the illusionary mat is placed. 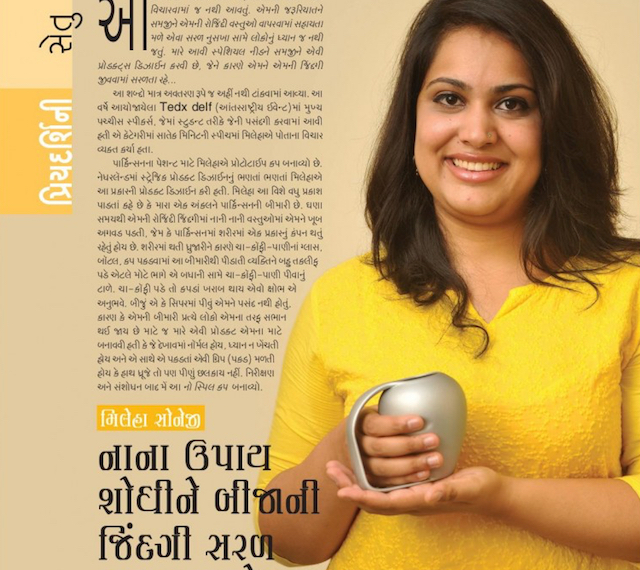 Soneji has also designed the ‘No Spill’ cup to prevent the spillage of liquids from cups held by people experiencing tremors. The cup has a curved shape at the rim and opening, which deflects the liquid back into the cup rather than spilling out. It also features other details to help people with tremors: a large handle and wider base as well as small grooves for extra grip at the fingers. Learn more about Soneji’s innovations. For comprehensive information about walking and foot care, visit the European Parkinson’s Disease Association (EPDA) website.